Summer has officially begun its inevitable descent into fall. The long days of summer are noticeably shorter and the nights have become cool. Perhaps you have even begun to notice tinges of red and yellow highlighting the leaves on your trees and shrubs. 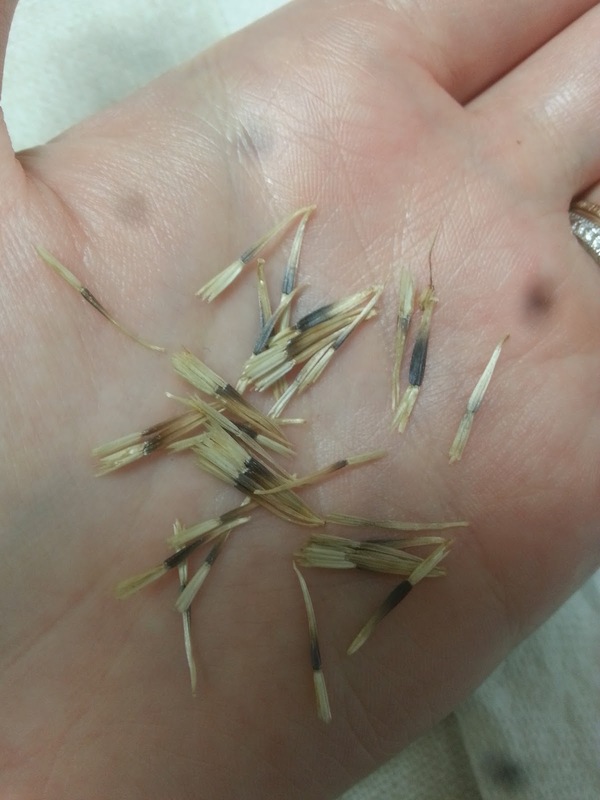 This time of year always makes me think of seed saving. 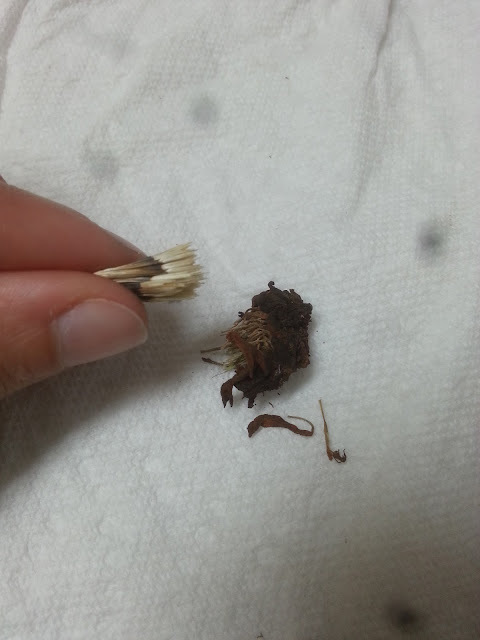 Seed saving is an easy and frugal way to ensure that you will have a beautiful garden the following year. Marigolds are one of my favorite annual flowers. They are simple to grow, don't require much care, and they help to repel insects! 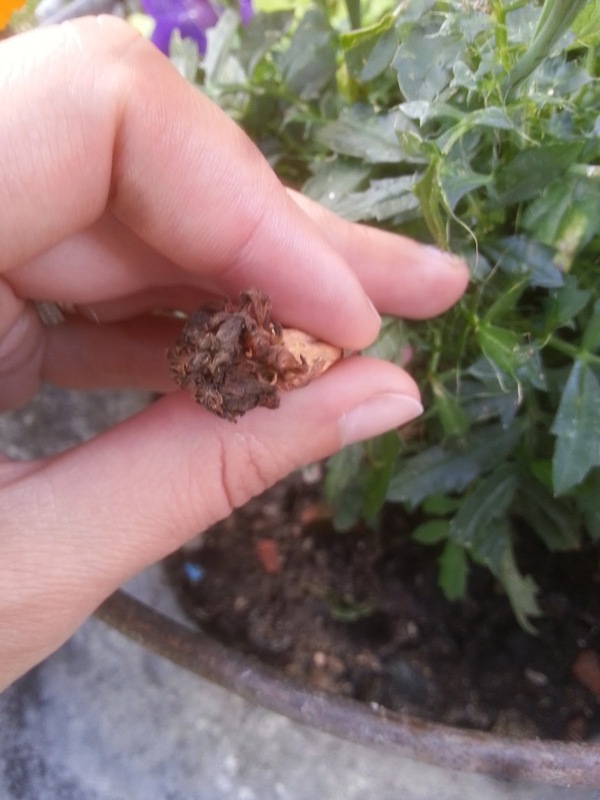 If you wish to save seeds from your marigold plants, make sure that you don't remove any dying flowers, as this is where the seeds are. 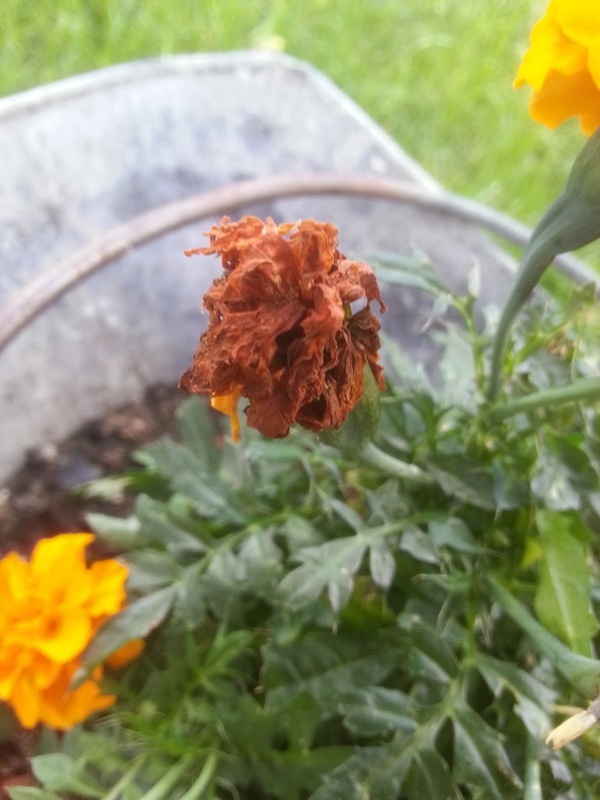 If you have been religiously dead-heading, stop what you're doing and just wait a few weeks for some of the blooms to die back. Head out into your flower garden and inspect your marigolds. The flowers that we are the most interested in today are the ones that have completely died and turned brown. the petals may still be attached but will be very dry. 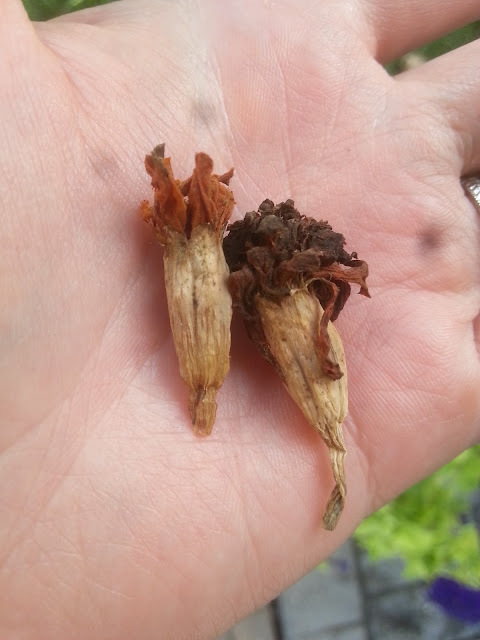 With your fingers, carefully pop off a few of the marigold heads from their stems. 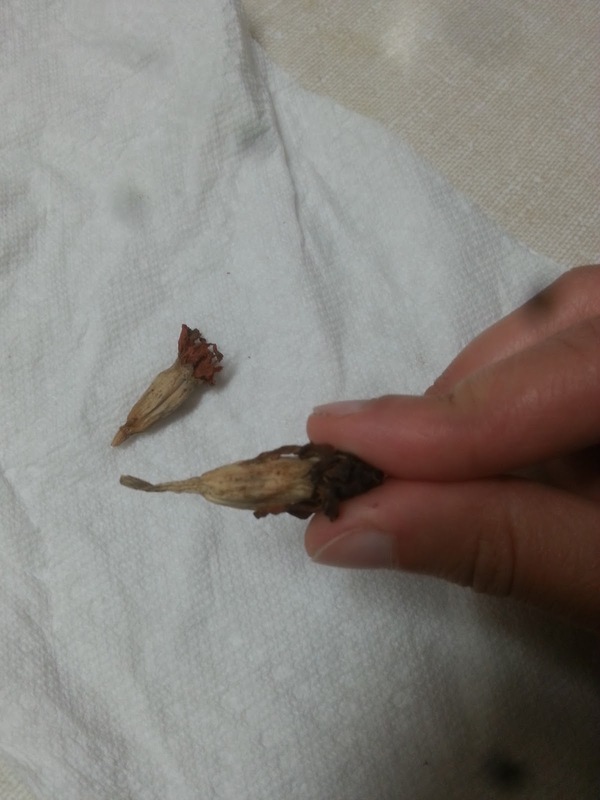 Do not pull from the petals, pull from the base of the flower. Bring your flower heads inside and set them on a clean paper towel. Pick up one flower head. With your right hand, gently grasp the petals with your pointer finger and thumb. With your left hand, gently grasp the base of the flower. Pull these two pieces apart. 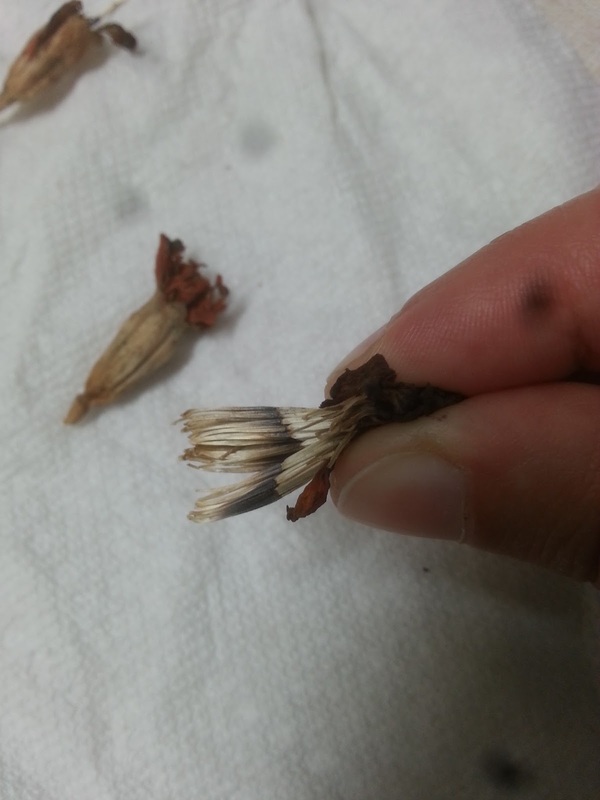 The seeds and petals should come away from the base very easily. Set the base of the flower aside. 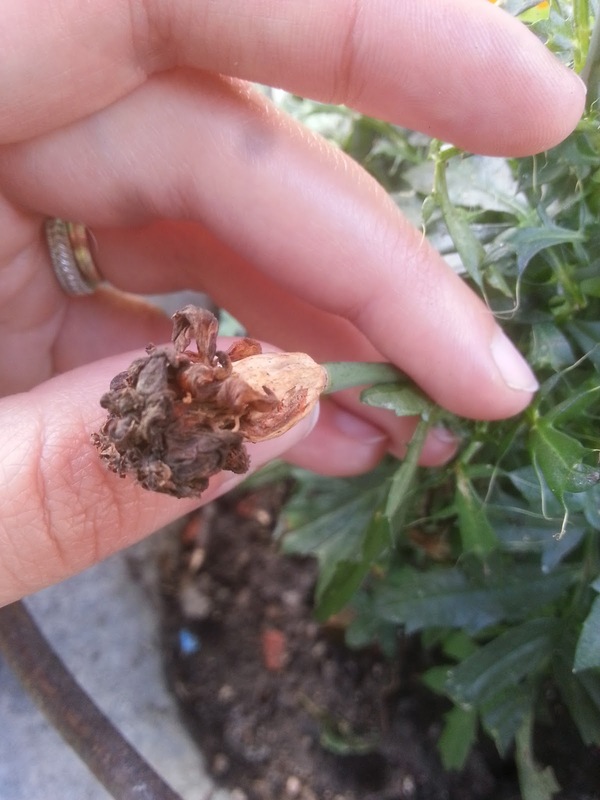 Now, what you have in your right hand is a bunch of marigold seeds attached to petals. To detach the seeds from the petals, grasp the seeds with your left hand and the petals with your right hand and gently pull the seeds away from the petals. Again, they should come apart very easily. Place the petals and flower bases in your compost. Repeat the process for all of your marigold heads. 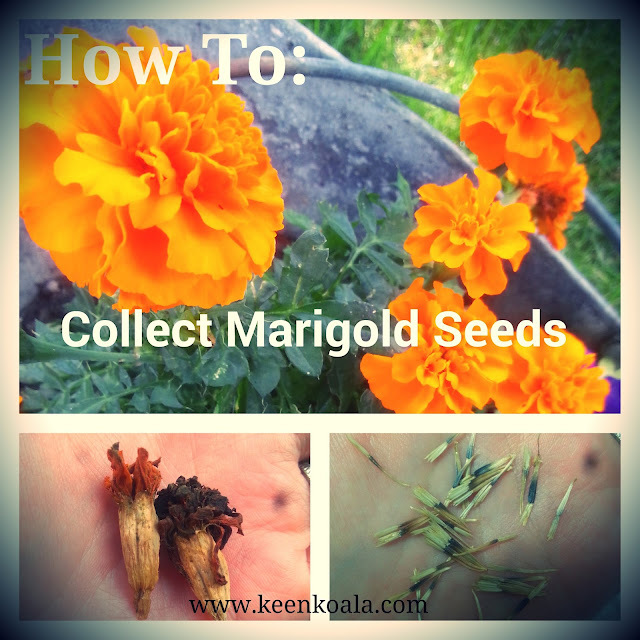 When you're finished you will have quite a nice collection of marigold seeds. Make sure to store your seeds in a cool, dry place until you're ready to plant them next year! Do you save seeds? What are your favorite seeds to save? Let me know, I would love to hear from you. Don't forget to like Keen Koala on Facebook for V.I.P. access to recent posts, updates, and exclusive contests by clicking HERE!